What a lovely pattern! I’m definitely going to make these. 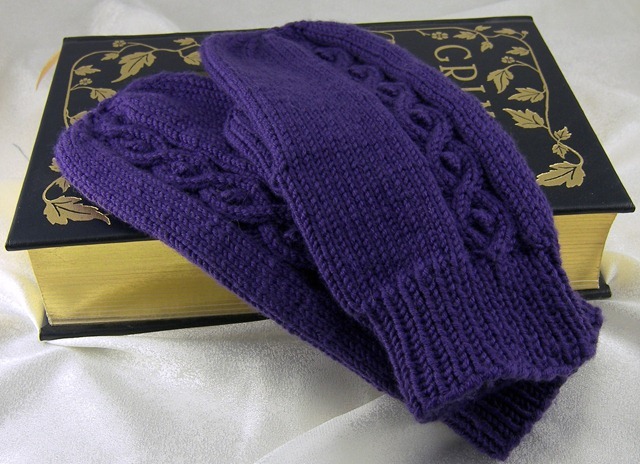 Love them – a “twist” on ordinary mittens! Thanks for the pattern. Thank you for this great pattern. I just finished a pair of Cabobble Mittens made of Alpaca yarn for my daughter. I can’t wait to try another one of your patterns! I wanted to thank you for this wonderful pattern. 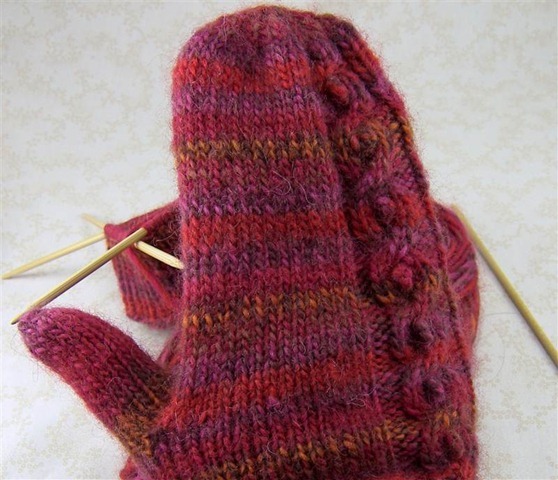 These were my first mitts ever, and the first cable as well. 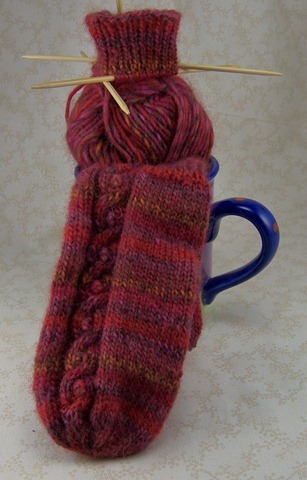 I am now fully addicted to knitting, in no small part thanks to you and your concise and beautiful pattern. Wow, I’m glad you liked the pattern so much!! 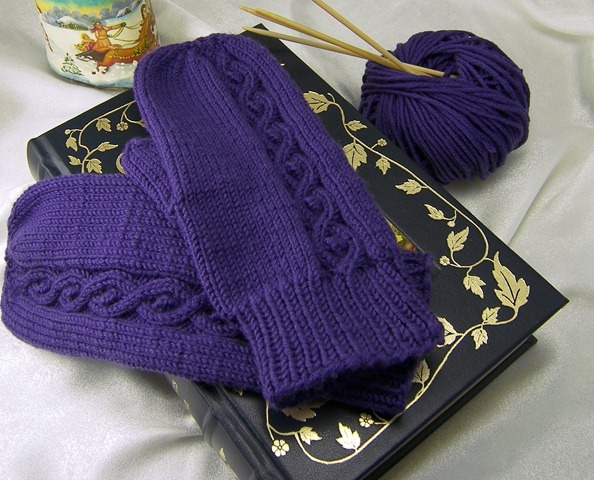 I hope you knit lots of wonderful things (things with cables!) with your new addiction. Happy knitting! Thank you for this wonderful pattern. I have just finished mine out of plant dyed wool that I dyed myself and I love them. I’ve been wanting to try plant-dyeing. What plant(s) did you use? I bet they look lovely! 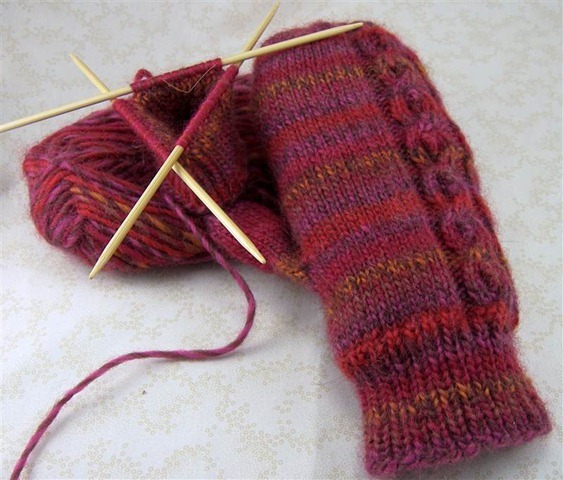 Anyone have a pattern for mittens on two needles? I can never seem to keep my needles squared up when trying to knit using dp’s. Thank you for the nice mitten pattern. I am going to cast on tonight. 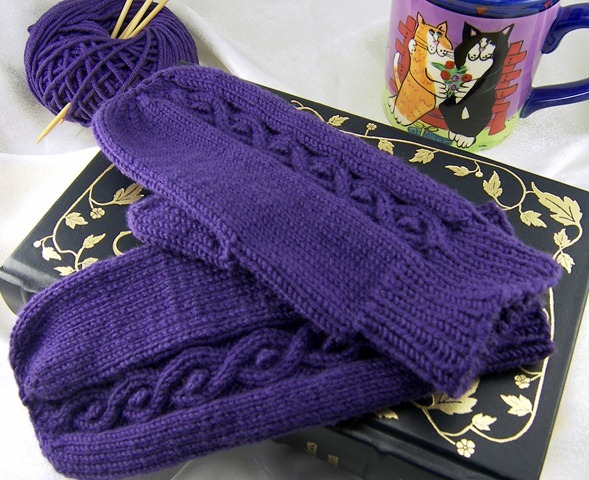 These mittens are gorgeous! I definitely think they are the prettiest I’ve seen, and just the right stand-out cable with fun ! Thank you sooo much for posting!